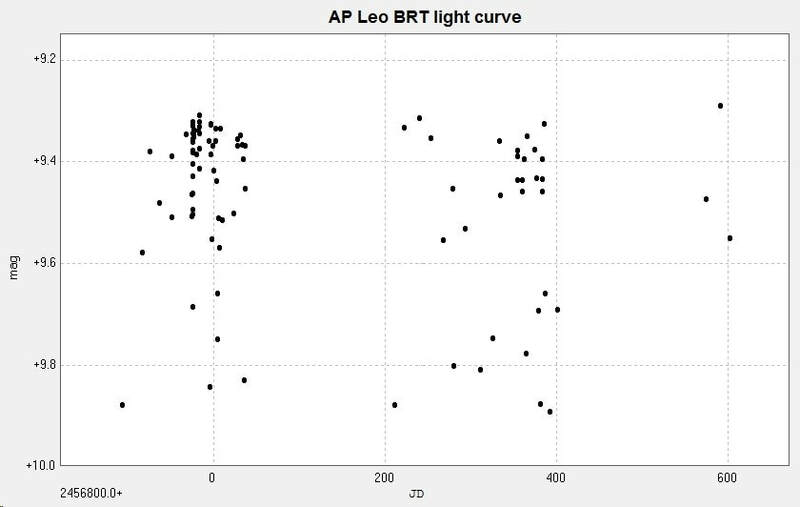 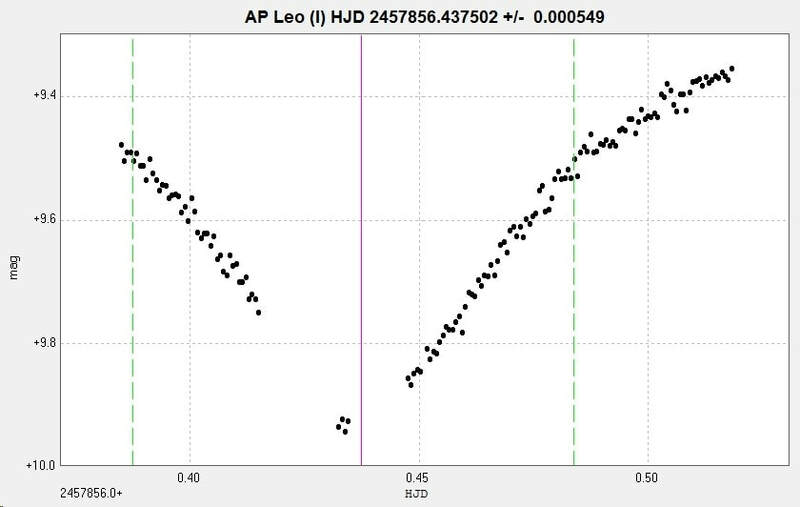 Light curve and phase diagram of the EW/KW variable AP Leonis / AP Leo constructed from photometry of 94 unfiltered images taken with the Bradford Robotic Telescope Cluster Camera between 2014 February 5 and 2016 January 14. 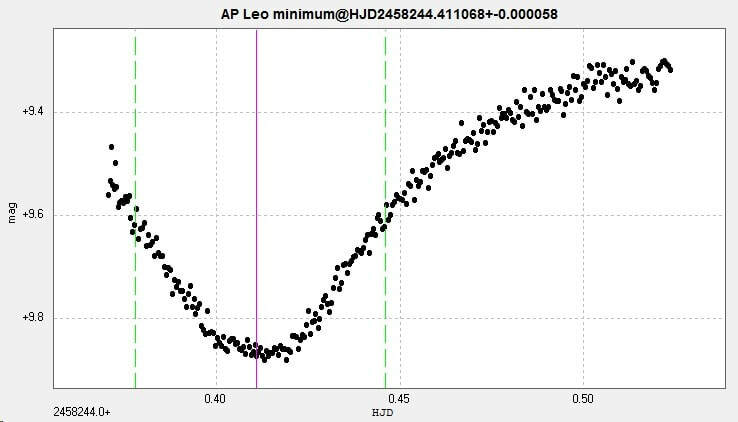 ​The derived period (using Peranso/ANOVA) of 0.430362d compares well with 0.430358d (AAVSO VSX), 0.4303576d (GCVS) and 0.4303639d (Kreiner) accessed 2017 April 18. 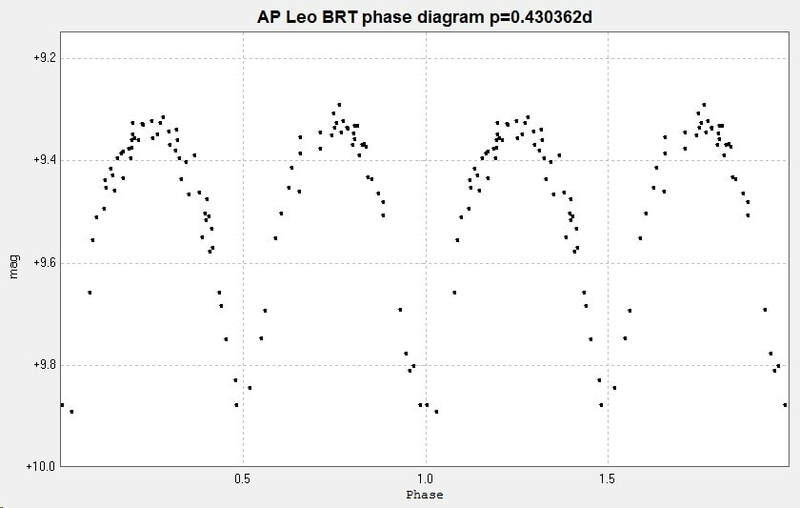 This star has o-c interest. 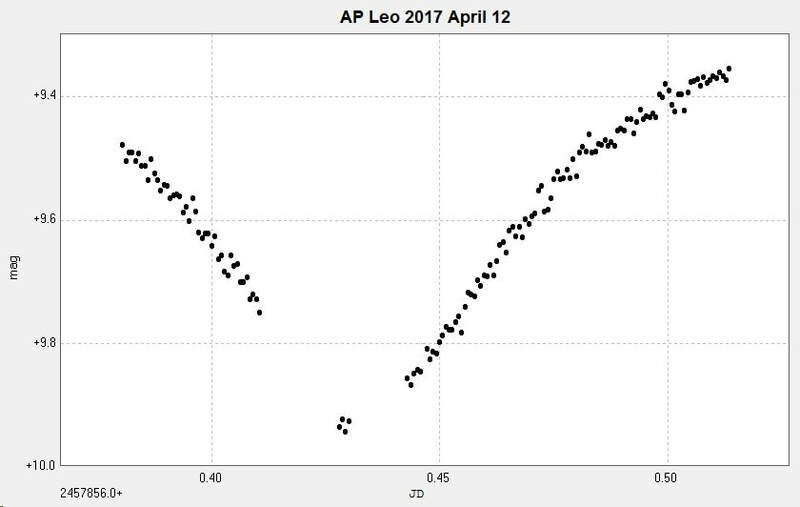 A primary minimum of the star was observed with the unfiltered 2" Titan at Somerby Observatory on 2017 April 12. 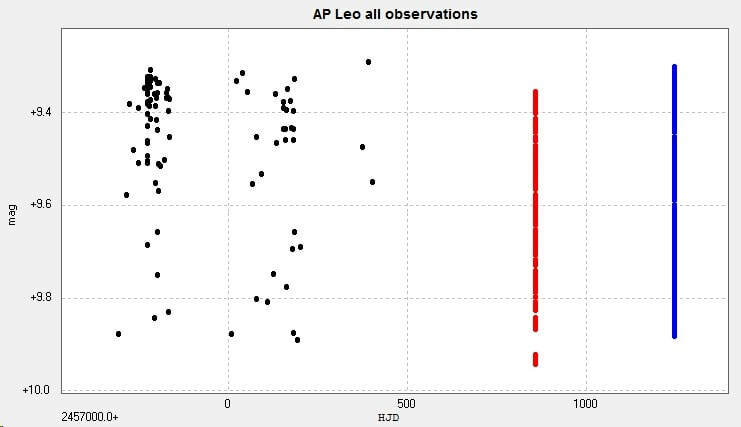 The gaps in the data are due to passing cloud. 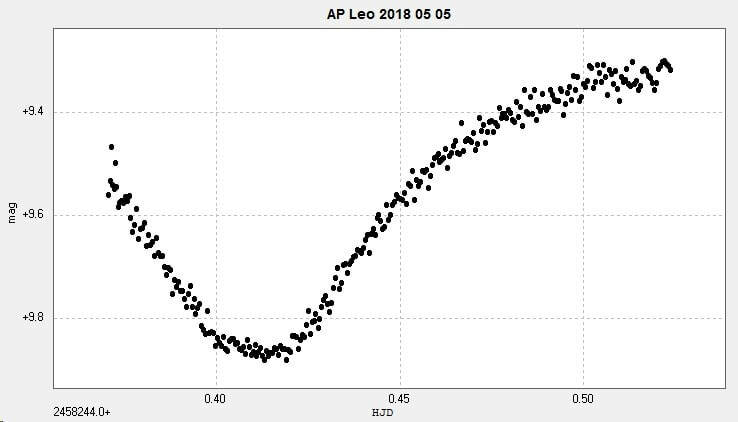 A secondary minimum was observed with the Somerby Observatory unfiltered 2" Titan on 2018 May 5. 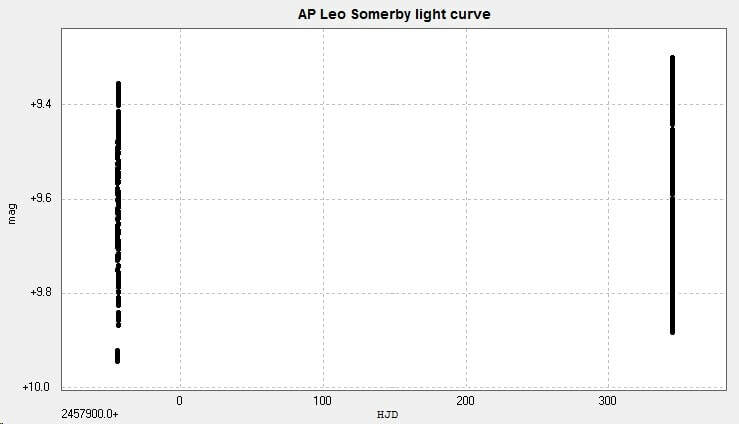 The following light curve and phase diagram were constructed from the two sets of data for the primary and secondary minima obtained from Somerby. 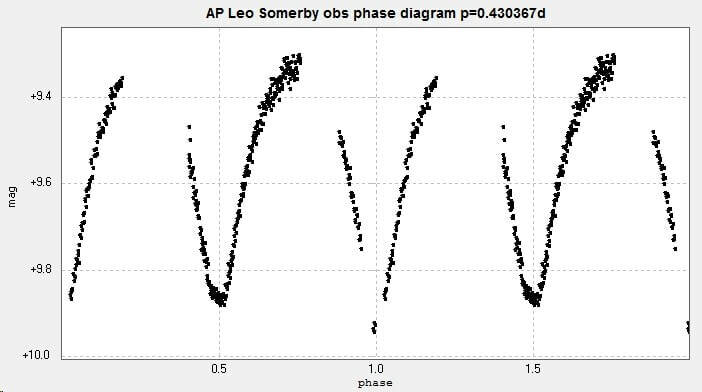 The BRT data (black) and Somerby data (primary minimum in red, secondary minimum in blue) were combined into the following light curve and phase diagram. 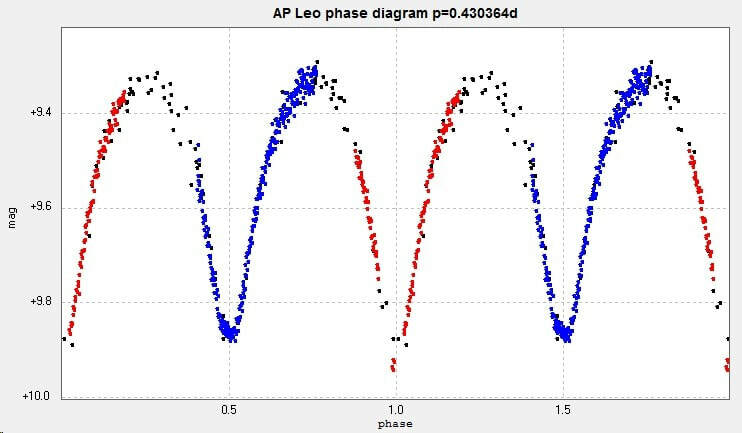 There is o-c activity with this star.